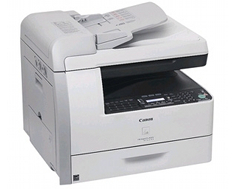 The Canon Copier ImageClass MF6540 is a duplex multi-function printer that packs more features and better performance over its predecessor, the Canon Copier ImageClass MF6530. Though quite similar in appearance, the Canon Copier ImageClass MF6540 boasts more speed, better connectivity and a more reliable user interface to cater the needs of every workplace looking for a high quality and utmost reliability in printing, scanning and copying tasks and functions. The Canon Copier ImageClass MF6540 continues to hold its predecessor's reputation of being a high-speed, high volume multi-function device, particularly in printing, with speeds up to 24 printed pages per minute. The MF6540 maintains a maximum print resolution of 600 x 600 dots per inch on monochrome prints, and up to 1200 x 600 dpi for quality prints. The design of the MF6530 is also basically the same, with the MF6540 having more depth at these dimensions: 20.5"(W) x 18.0"(D) x 17.8"(H). The MF6540 also has a heavier set, weighing 54 lbs. With cartridge, roughly 2 pounds heavier than its predecessor. The capacity of the MF6540's paper cassette tray is 500 sheets, with the multi-purpose output tray has 100 sheets for its capacity, able to hold and print thicker media such as envelopes, transparencies and other specialized printing papers. The MF6540 still has the 50-sheet automatic document feeder plus a legal-size platen, and staying true to its purpose as a high-speed and high-volume producer, the MF6540 packs the automatic duplexing function available to print, copy and color scan options, for a two-sided, simultaneous production. The copier of the MF6540 still has the previous specifications in terms of the machine's copy resolution, with 600 x 600 dpi up to 1200 x 600 dpi for quality copies. The copy speed on the other hand has been upgraded, now clocking at a cool 24 pages per minute. Though this might now as a very impressive upgrade in the MF6540's speed, but a 1 page per minute is quite significant after considering high-volume tasks that requires faster and more efficient handling. An hour's worth of printing with the MF6540 produces around 60 pages more than the MF65430, which is already speedy in its own merit. Copy memory has also featured an increase, with the MF6540 now having a 128MB memory. 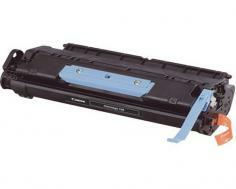 As a toner copier, the MF6540 definitely saves more in its laser-based monochrome digital copier. Zoom increments of 1% can be pulled off from 50%-200% levels, while reduction and enlargement values are at 50%, 50%, 64%, 78% / 129% and 200% presets. Halftone levels are maintained at 256, and the MF6540's copy size are from 8.5"-14", and its ADF with ADF: 5.5" x 5" to 8.5" x 14". Scanning option includes optimum resolution at 9600 dpi for interpolated option, and a 600 x600 maximum resolution for its optical scan function. A 24-bit color input depth is maintained, with duplex functions on its Color Contact Image Sensor, or CIS. File formats include JPEG, PDF, TIFF and BMP for saving digital scans. The significant addition in the MF6540 is found in the machine's connectivity feature, which now includes networking support through the built-in Ethernet network. This should ease the burden of going back and forth the printer, thus saving time and allowing more efficiency through the use of computers as network connections to the PC in a busy workplace. Drawbacks for the MF6540 include the same small LCD display without any benefit of a backlight, which makes the panel display difficult to see in a poorly lit office. 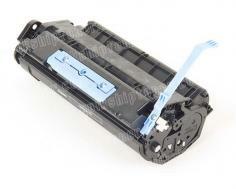 Printing other media such as envelopes are also rather difficult, while the toner cartridge replacement for the MF6540 are more expensive compared to other brands with similar functions and features. Printer settings are also quite cumbersome; a constant attention is required to ensure minimal printing mistakes, as well as for scanning and copying. Review it: "Canon imageCLASS MF6540 "
The MF6540 continues to utilize Canon's hassle-free Single Cartridge System, with a standard toner cartridge yielding 5,000 pages, which should last for at least more than a month if the recommended usage is maintained at 500-3000 pages per month.